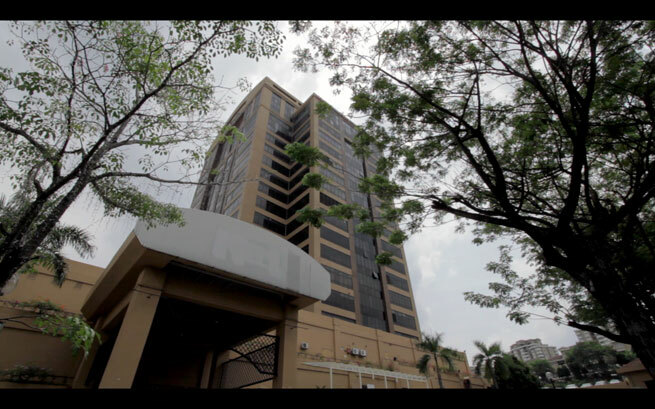 ‘Rights of the Dead’ looks at the situation surrounding the death of Teoh Beng Hock, while he was in the custody of Malaysian Anti-Corruption Commission (MACC). I know of that before watching the film. Heck, you guys know of that even before reading this review. A part of me is tempted to just skip the synopsis of the film, primarily because while it does make for an emotional read for those who might be leaning towards that side of the fence (as well as a more complete review), the subject matter is something so well-known that it would be no more than mere words, unconstructive to the discourse. The film is set within the context of a first-person perspective, as we journey through the investigations by Tricia Yeoh, the film’s director. We even see her insert herself into the diegesis, setting herself up almost as the protagonist of this big question: what truly happened to Beng Hock, and what is going on now? While it obviously looks for answers, it does not necessarily illuminate much more beyond what most who follow the case would already know. The key distinction here, though, is that what little new information gleaned was carefully concealed until near the end of the film. The film starts with the following text: “Warning: this film contains some graphic and disturbing images of a deceased person. Viewer discretion is advised.” Simple, but very effective in setting the tone for the documentary, for those mere words help to make us think: “Uh oh.” This is a serious documentary about a very serious issue. The core of the film is the unfinished business of why he died. The documentary made it clear that it was dealing in facts, as it goes around interviewing many of those connected to the case, in particular some of the main actors on the side of the opposition government. Again, we’ll get into this a little later on. In watching this film, there were a couple of things that struck me the most. First, unlike the majority of many such texts I’ve come across, Tricia Yeoh is involved just as much, perhaps even more so in front of the camera than she is behind it. I’ve mentioned this before, and I am reminded of Amir Muhammad’s explanation at a screening of ‘The Big Durian’ many years ago, about how he shot new scenes as there wasn’t enough of him in it. I am not entirely sure how seriously to take that, and I am not saying that this is anything of an ego trip for Tricia. If anything, it adds to the experience of watching this film. Guided by the questions, she uses as much objective information as she can in interviewing the subjects. 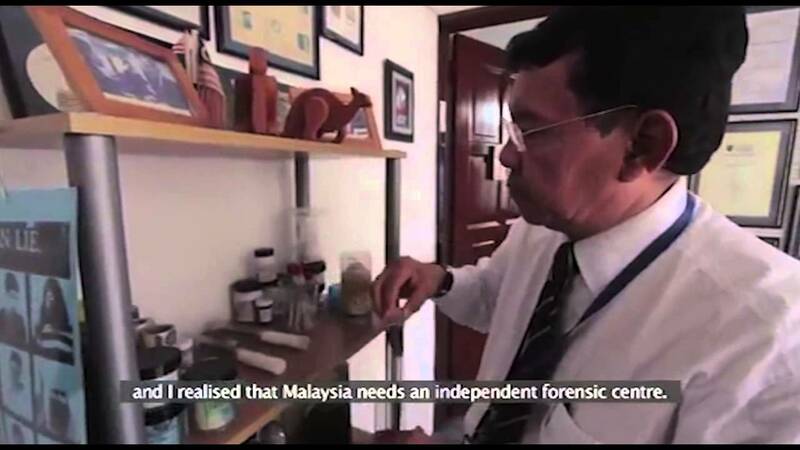 You’d think that it could be fairly lopsided in it’s views, with the plethora of Malik Imtiazs and Gobind Singh Deos, but then up pops Dr Amidon Anan, the former Crime Scene Investigation chief of the Royal Malaysian Police, to give his view about how unprofessionally the investigations into his death had been carried out. Not quite the ying and the yang so far, but at least a little more balance to this perspective is present for the moment. Secondly, this does not seem like the work of a first-time filmmaker. This might come across as some sort of bias, as I had first known of Tricia back in university (she was my senior by a couple of years, if I am not mistaken), and so there’s your disclaimer, ladies and gentlemen. Putting that aside, though, the story flowed smoothly from one point to the next, and great effort was made to ensure that that was the case. Many people I know would have been tempted to stick to a more linear timeline; while there is evidence of this as well, it appears that she has made the directorial decisions based more on emotional terms, while delivering it in a professional way. I’ll give you an example. If ever such a split is to be detected, I believe the first half represents the colder and harder facts of the situation, while the second half delves deeper into the more emotional aspects of the aftermath. This where we are treated to interviews with the deceased’s family and wife and son. It is an interesting choice to have presented this as such. The climax, then, is not so much the responses we were looking for on a national scale, but the unanswered questions raised on a deeper level. What do I mean by that? Most people will look at the whole situation with a very political discourse in mind, and will watch this film in such a fashion. With many people from the different sides of the fence (are there more than two sides to a fence? ), a facts-based discussion is nearly impossible, with acronyms such as PERKASA or DAP enough to raise ires and boil blood. In short, many people are just looking for outlets to be angry at someone, something, anything. In the context of politics, it is usually the government that bears the brunt of this in almost any geographical context, and this film could potentially be the fan for that flame. 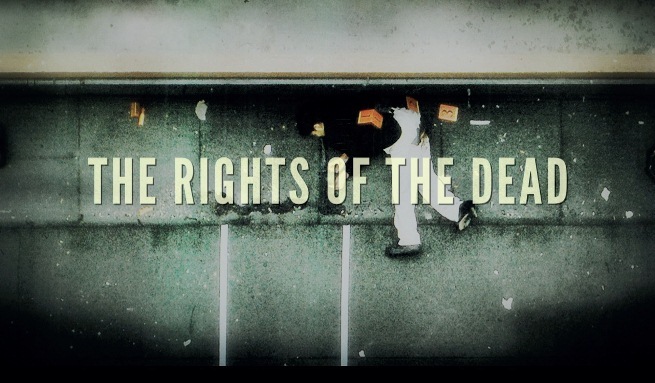 ‘Rights of the Dead’, however, reminds us of…well, the rights of the dead. The Bahasa Malaysia title is slightly different, as ‘Mati Sebelum Ajal’ can be translated as ‘Dead Before His Time’. It might seem obvious, but it has to be said that such a humanistic perspective is not to be discarded lightly. 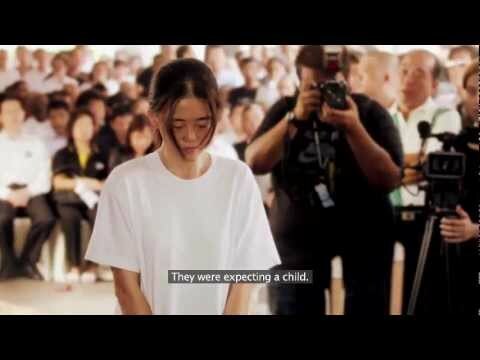 We often think of the cruelty dished out the MACC and other government agencies in their handling of this situation of their making; how the family and wife of Teoh Beng Hock is getting on, however, is probably not at the forefront of many people’s minds. Should it be? I believe so, and this documentary shows us that while Beng Hock may no longer be with us, there are those for whom he is not mere political capital to throw at the government. Many years ago, I helped edit a documentary that looked at the rights of indigenous people in Malaysia. I didn’t shoot it, but I was aware that it was a very one-sided take on the proceedings. I told the director that perhaps they should at least try to contact the other side. “Even if they don’t respond, this would actually show that we made an attempt for a more balanced perspective, which would help with the credibility of the documentary.” She was unequivocal in her decision not to, and we went ahead without it. Of course, just when I was replaying that thought in my head, the following text popped up: “Attempts to contact the Royal Malaysian Police, RCI Chairman and Attorney General’s Chambers were futile.” Boom. Then of course, the credits list rolled up, and I knew why this film is so accomplished. Brenda Danker, the co-director of ‘Gadoh’, was listed as a creative consultant, while Malek Abdullah is probably the most accomplished director of photography for more independent projects in Malaysia. 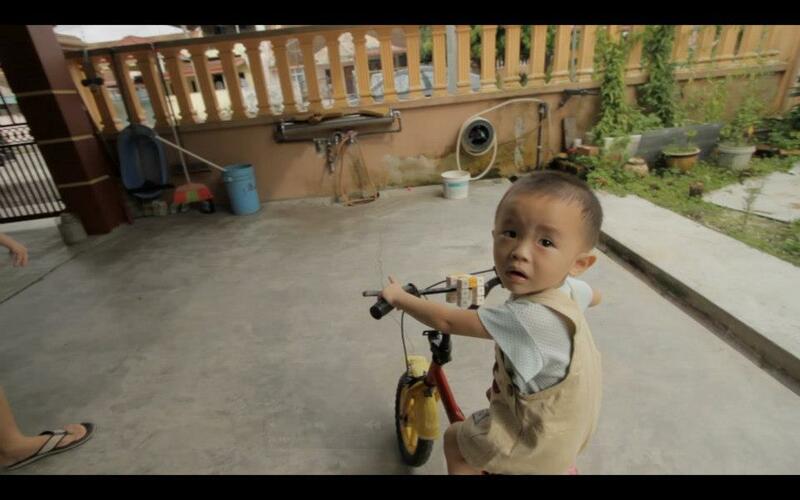 Chen Yihwen, too, was involved as the editor, and she was a previous winner of BMW Shorties, so it helps to shed more light on why the film looked so damn good. Nevertheless, that is not to take away anything from Tricia’s accomplishment in the making of this documentary. Everything has been done on a very accomplished level, giving not only this film but the issue in question a certain kind of credibility that many may not have considered as much of before: the emotional credibility. Fikri is impressed by the tri-lingual efforts of the film’s makers, which does not necessarily mean they will try anything lingual, given the fact that the film is also in Malay and Chinese.